European-inspired accommodations- warm hospitality and a wealth of complimentary amenities - the ayres suites ontario at the mills mall claims to fame Bask in the beauty of old world charm with modern touches and revel in complimentary wifi- full breakfast- parking- weekday manager s reception- and 24 hour airport shuttle service as well as shuttle service within five miles of the hotel. Just steps from the many shopping and dining attractions of ontario mills mall- this hotel boasts the perfect inland empire location along with the comfort of well appointed guestrooms. Rooms include plush ayres dream sleepers- flat screen TVs- ihomes- microwaves- refrigerators- and so much more. Experience a hotel stay unlike any other at ayres suites ontario at the mills mall. Conveniently situated 3 miles from ONT International Airport and many large businesses. Located adjacent to the Ontario Mills Mall minutes away from Arnold Palmers Empire Lakes Golf Course and Victoria Gardens. 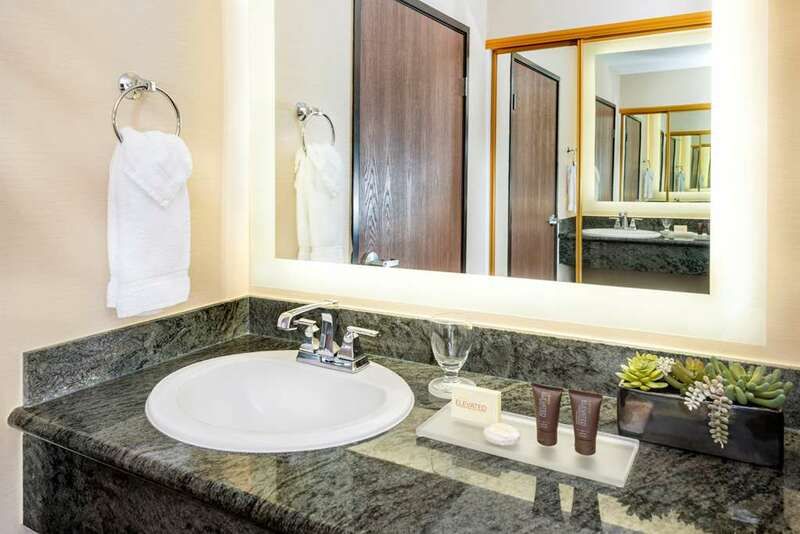 Ayres Suites Ontario Mills Mall offers all travelers convenience and comfort in an elegant environment.